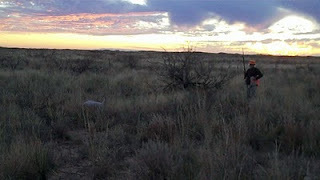 Yesterday ended well, with a very nice covey of Blues pointed and several birds harvested. Singles are hard to find after the flush. I guess with the "airwash" and the very dry, dusty conditions, the birds are invisible to scent for a while after the flush. Today, we are heading to higher elevations to hunt for Mearns Quail. 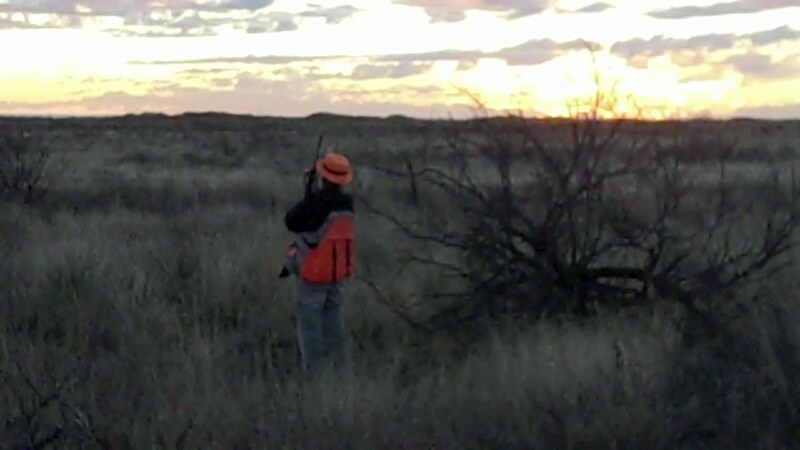 If we are successful, Ace will have harvested three species of quail (Bobwhite, Blue and Mearns) on this trip- all in New Mexico. I would think if we headed over closer to Arizona, we would be able to find Gambels Quail, also. But, alas, duty calls (not to mention my beautiful, loving and understanding wife). 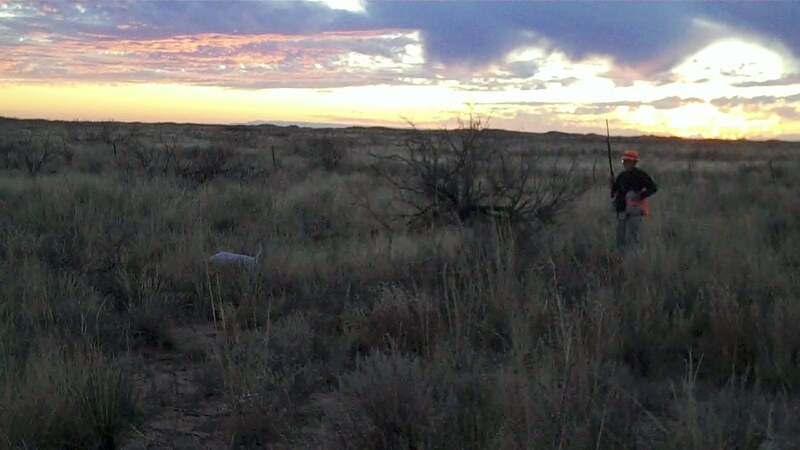 P.S.- My GPS with the topo and ownership maps loaded for NM, is absolutely invaluable! I think I've sold at least two systems on just this trip. The future is exciting for this technology! With nano-technology and battery technology advancing as they are, I would hope to see a smaller, lighter unit with greater range and longer life. (Well, eventually, the dog will have an implanted chip.) Also, I have a few suggestions for the improvements to the Garmin Astro handheld. (For example, I would like to set an individual alert tone to each collar. I would know aurally, which dog is on point, that way.) Between Garmin and Tritronics and the rest, I hope the competition makes it happen sooner rather than later.